We often hear public leaders say “our diversity is our strength,” which has become somewhat a cliché over the years. While I don’t doubt their sincerity in believing what they say, I wonder how many truly understand what it means to have a large, diverse, and global population in their communities. 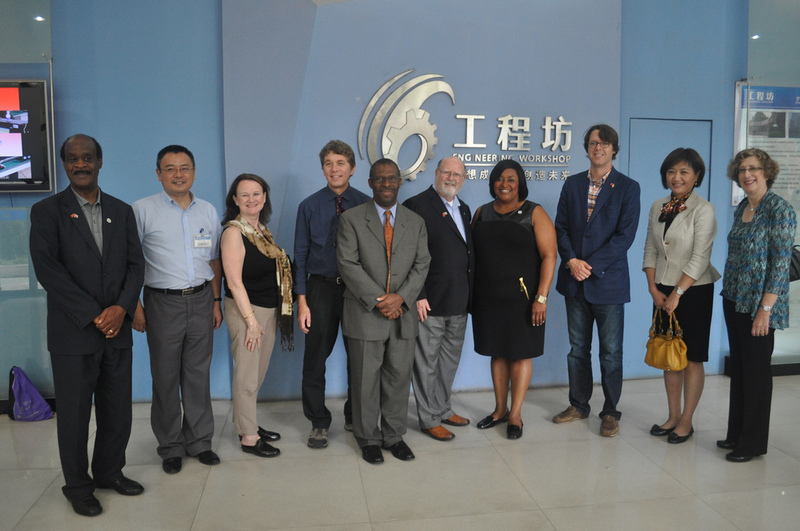 This past weekend, I attended the Chinese Biopharmaceutical Association’s (CBA) 18th annual conference, which attracted scientists, educators, businesses and entrepreneurs from the region as well as delegations from several cities in China. It was a high-energy conference hosted by an all-volunteer crew of local community members. CBA is hardly unique in actively making global connections between this region and the homeland of its members. For my “day job,” I oversee special initiatives for Montgomery County Executive related to innovation economy and global partnerships. In recent years, I have attended similar biotech conferences hosted by the local Indian and Korean communities. The 21st century being the bio century and Montgomery County being the epicenter of health research and life sciences with the likes of National Institute of Health and the Food and Drug Administration, interests in such conferences were hardly surprising. For Montgomery County, this region or this country to effectively translate our unrivaled health research assets into health benefits for the world and economic opportunities for the local community, we need active facilitators to better connect the growing global markets with our medical technologies. But of course, such opportunities don’t stop at science or biotech. There has been a proliferation of ethnic-based groups in education, science, businesses, etc., that actively facilitates global partnerships in the past decade. The rise of new economic powers such as the BRICS pack (Brazil, Russia, India, China and South Africa) and other emerging markets such as Mexico and Vietnam has energized our local communities from these countries to be community ambassadors making the local and global connections. What stands in the way is our antiquated ways of thinking about race and diversity. The 21st century is materially different from the 20th century in how we live, work, process information and connect with one another, yet our collective mindset is still in the 20th century. First, in spite of the rich ethnic diversity in the region, we as a society continue to see our communities through the antiquated lens of race, as whites, blacks, Hispanics or Asians, for example, rather than Russians, Ethiopians, Salvadorians and Koreans—the way people see themselves. Such framework overlooks the significance of immigration in our community dynamics and the opportunities it can present. It is no secret that many in the immigrant communities are far more engaged about global affairs half way around the world than local public affairs that immediately affect their daily lives. From the local Burmese community’s excitement over President Obama’s historical visit of Myanmar (aka Burma) to the Brazilian community’s excitement over Brazil’s hosting of Summer Olympics 2016; from the Pakistani community being shaken by the bombs in Lahore three years ago, to the Turkish community’s concern over the current unrest in their homeland, we are reminded time and again that what’s global is local. These ties to their home countries can mean tremendous opportunities for the many globally-diverse communities in the Washington region, which has seen its immigrant population doubling since 1990. Second, much of our diversity rhetoric still focuses on disparity reduction in accessing services or opportunities in employment, contracting and education rather than opportunities. While disparity reduction continues to be relevant and important, such exclusive focus undermines our ability to capitalize on the tremendous human capital and global partnerships. 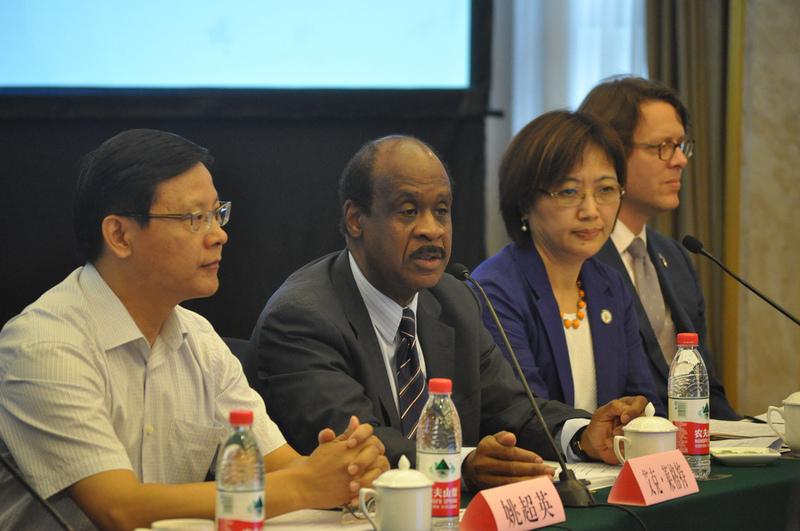 In Montgomery County, where half of our communities are made of ethnic minorities and fully one third are foreign-born, we have established two sister city relationships in recent years in El Salvadore and Ethiopia and are on our way to establishing a sister city in China. These relationships are meant to outlast any sitting administrations or political leaders, and the process of selecting countries and cities have energized many in the community who otherwise would never have paid much attention to what a local government is doing. Leaders and communities that understand the innate connection between the global and local are poised to gain from both community engagement and global economic, educational and cultural opportunities. It is upon both our communities and institutional leaders to capitalize on such community energy and channel it in the direction that benefits all of our communities, whether immigrant or local. This is the season of inaugurations and internships, with the class of 2014 college grads starting a new chapter in life in a recovering yet still challenging job market, and with students beginning a summer of exploring what to do beyond school lives. Whether it’s a full-time job or an internship, the experience is as much about learning the knowledge and skills as it is about self discovery. I recently met a white, middle-aged American, who is highly fluent in Mandarin and successful running a center whose work requires fluency in East Asian cultures and languages. With an impressive list of life experiences under his belt, he was obviously happy with his life and career. When asked how he got to this point in life, he insisted it was pure “dumb luck” because he couldn’t have foreseen the many opportunities related to his interests when he was a young man. I can relate to that. I am more confident and content with my work life than ever before, having finally found my ways of relating and contributing to the world around me. I wish I could say this was all by design, when in fact for the first decade in this country my life was defined by heartbreaks and headaches. As a liberal arts major and a generalist with broad interests, I was not as readily employable as those with technical background such as IT and engineering, so I struggled for a long time to find my footing. From a practical perspective, it seems unwise for an immigrant, who already faces many challenges to insist on finding one’s niche without caving in to pragmatic concerns, but I am glad I didn’t follow a linear career path, nor did I try to be anything but myself. And I am grateful to have a supportive spouse. This is not to say that those who are specialists are not following their passion. Plenty do. But I personally know many highly-educated immigrants, who chose to settle for a living rather than pursuing their dreams. Our society is organized around highly specialized professions and values people with “hard skills” far more than generalists because specialists can hit the ground running quickly and we understand their value much better. With the soaring costs of higher education, liberal arts colleges that do not offer specialized career training or good job connections can be a tough sell to pragmatic parents. Generalists, on the other hand, are routinely misunderstood by families and under-valued by society. We tend to struggle early in career because we are trained for life, not jobs or careers. Our broad interests do not fit neatly into the prescribed professional boxes, and many jobs and careers that suit us have not been invented yet or are at the top of the food chain that may take a couple of decades to reach. But once we reach that point, our broad skill sets and life experiences become tremendous assets that allow us to really take off and soar. Not only will our success come sweeter, but what we have learned along the way from seemingly unrelated and unexpected digressions add up to a rich experience and an interesting life. Of course, being a generalist or a specialist is not set for life. Generally speaking, the higher up you go in any organizations, the more of a generalist you need to be, and the more soft skills you will need. It helps to have unwavering faith in yourself and a belief that everything you do has its purpose in the large scheme of things in preparing or revealing the fabulous person you are. Technological advances and globalization make what we are trained for at schools obsolete at a faster pace than ever before. As we live longer, more people are starting new careers beyond mid-life just as the Millennials are taking longer to settle down in life or career. Ironically, as the professional fields become ever more specialized these days, people with interdisciplinary skills are in growing demand as they make better leaders, innovators, and problem solvers in a complex and fast-changing world. Our antiquated hiring practice just hasn’t caught up with this new norm yet. Allowing young people the time to explore is one of the best graduation gifts we can give them because they should invent the jobs that suit them, not merely filling what’s out there. To the interns and graduates—happy exploring! Lily Qi can be reached at qulturematters@gmail.com or via her blog site at www.qulturematters.com.